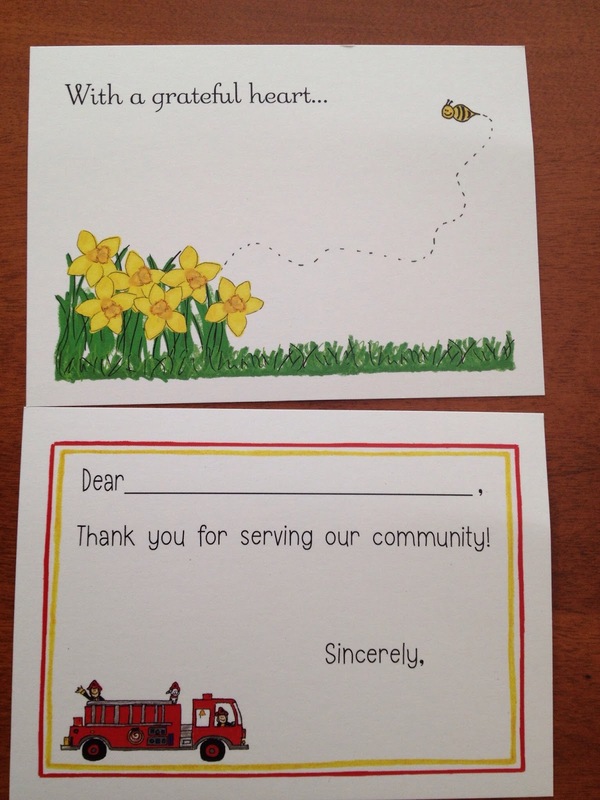 Unfortunately, writing a letter on paper or even a thank you notes general is becoming antiquated. Technology is taking over the art of writing and our kids will not even know how to spell words correctly because of spell check. I still make my children write thank you notes for gifts throughout the year. No an email to your grandmother will not cover it this time! So how do you make your child excited to write to a letter instead of using email? Secondly, give them some personalized stationery that they will love. 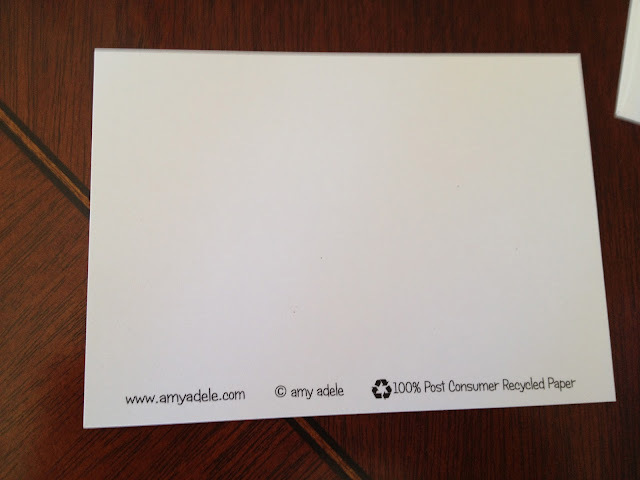 I was first introduced to Amy Adele Stationery from my mother in law. 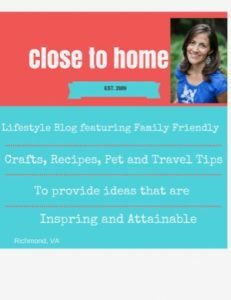 She is a big letter writer and loves to send my kids personalized stationery. I was recently given the chance to review their notecards. There are so many designs to choose from, you are going to probably want to buy more than one. From lacrosse to kids reading books, you are bound to find one that interests your child. 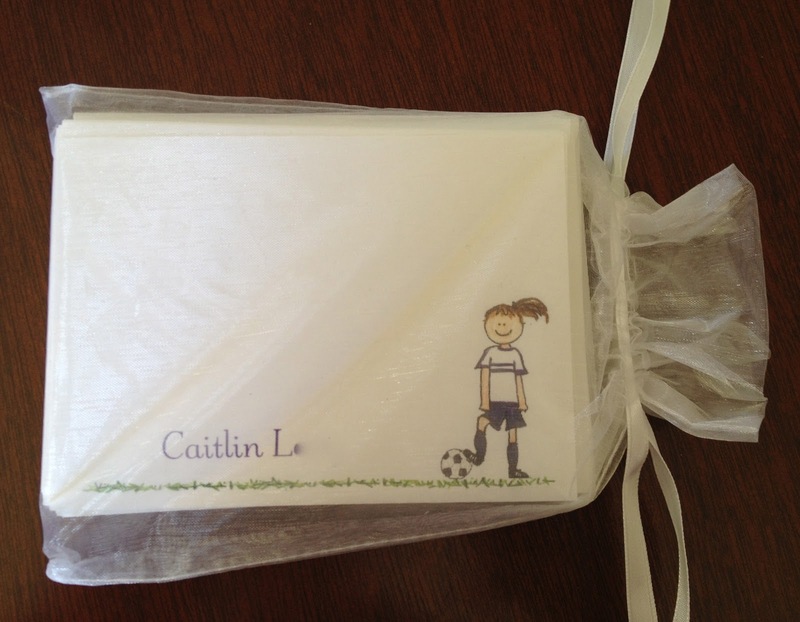 You can also personalize them for an extra fee, for instance if I wanted this soccer player in my daughter’s team colors it would cost an additional $10. Stationery makes a great gift especially for kids going off to camp, gifts for graduates and even new moms. Amy Adele even has a large selection of teacher gifts like thank you notes and cards. They have amazing selections for both boys and girls. Even fill in the blank versions for the child who is learning how to write. They come in cute packaging to show off their cute designs. Amy Adele offers stationery, calling cards, invitations, gift tags, clothes and bag tags. Need a baby shower gift, check out these adorable bibs. Love that they are environmentally friendly too, by using 100% post consumer Recycled paper!! Makes me think all that recycling we do does actually produce something. How do you get your kids to write more letters? I was provided product in exchange for a honest review. All the opinions expressed are 100% my own. What an amazing idea!! Super great way to get kids to write. Even though my boys are too young I bet they would love to have a stationery set…probably simply because it’d have their name on it! I love this! I am big on writing notes and thank yous and I want to pass that on to my kids! Thanks for sharing. These are adorable. This would make a great gift for my children’s friends as going-away presents (we are a military family so we are constantly moving and so are many of our friends). My 6 year old writes back and forth with her best friend from NC. This would be a nice treat for them to make it even more fun. I love this idea. I actually received Amy Adele products for my daughter and she loved them..
That is so cute! My teens are in the, it’s easier to text or facebook stage rather than letter writing. It really is a lost art. what cute stationary! my daughter would love to write her friends and family back home with these! What a really cute idea! More a girl thing, I think but I see how it can really get a little person excited. Their products are so cute for trying to get kids to write! 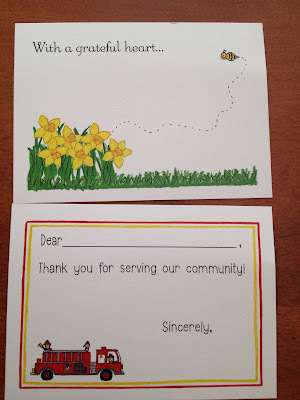 I think they are great for thank yous! Too many kids don’t write real thank yous! what a great idea Jennifer. They have a great deal on these personalized notes as well. 35% of some of teacher appreciation gifts. my boys both have lacrosse players and love love them. They even have firetrucks and fill in versions for the younger kids that can’t write completely yet.